Have a small work-space, coffee table, or work on the move and want an ergonomic way to use on your laptop? This is the perfect standing workstation for you. 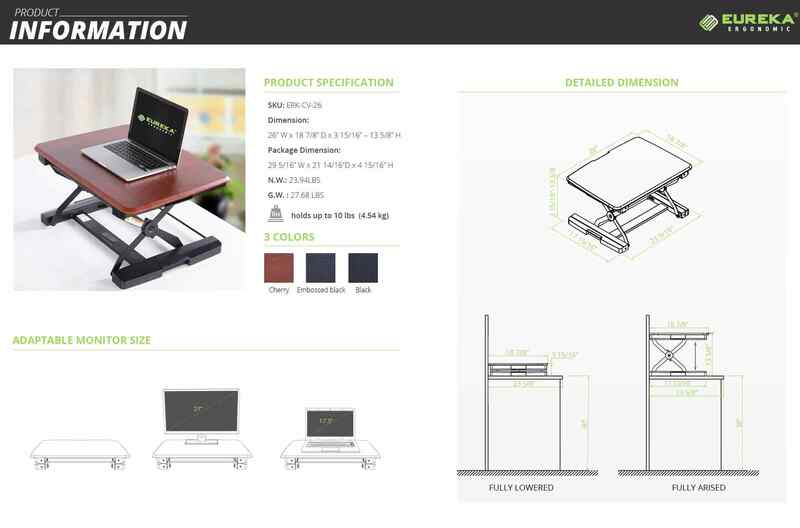 Eureka Ergonomic manufacturers the best portable laptop desk on the market today. Designed for small work-spaces, laptops, portable and sturdy with 8 height adjustment settings to insure you find your perfect ergonomic fit.